There’s nothing like throwing on your pajamas, grabbing a bowl of popcorn, kicking your feet up, and popping in one of your favorite movies at the end of a long day. Everyone loves to go out to the movie theatre for the bigger screen and unique surround sound experience, but what if you could get the same movie theatre experience without having to change out of your pajamas or leave the comfort of your own home? Custom Cinema and Sound of Fargo, ND, has the equipment, expertise, and installation experience to bring your home theatre to life. By listening to your specific needs and wants, Custom Cinema and Sound ensures your home cinema fits your unique style and vision. Jonathan (Jon) Kungel got his Bachelor’s Degree from NDSU in AERO Manufacturing Engineering. Then, he worked as a Manufacturing Engineer for Case Corporation for seven years, but he always had a passion for high-end audio and video systems. In 2002, Jon turned his passion into a business and started Custom Cinema and Sound. “I had a vision of improving people’s lives by providing technology solutions that are tailored to meet our client’s needs. To me, it wasn’t about selling something cool, it was about solving a problem and making people’s lives that much easier,” Jon shares. Custom Cinema and Sound doesn’t only create amazing home cinema systems. They also specialize in whole house audio, complete automation, lighting control, and structural wiring. Their lighting control systems provide energy saving control with intelligent switch communication. Whole house audio systems from Custom Cinema and Sound let you listen to different music at different volumes in different rooms around your home. This can happen all at the same time through a single, easy-to-use system. Complete automation gives users control of all of their systems in one touch screen device. With demand growing for sound, lighting, and cinema systems to be installed in existing homes and those being built all over the Fargo/Moorhead area, Jon decided he needed to expand. “Since home technology is such a big investment, it was crucial to have a showroom. Clients need to be able to see and hear what we have to offer. We needed a space that really highlights our work and shows our clients that we’re top quality,” explains Jon. In 2013, in order to finance his project, he used a Small Business Administration (SBA) 504 loan through Dakota Certified Development Corporation (now Dakota Business Lending) in partnership with Western State Bank. With the funds from this loan program, Jon constructed a new showroom and office in South Fargo. This expansion allowed the company to have a convenient place for customers to come in and demo their products. “Clients are always commenting on how nice our new office and showroom space looks. It makes a huge difference to be able to bring clients into a space that not only looks great, but showcases the work we do,” says Jon. The project also provided additional office space to allow them to hire more employees. Over the years, Jon has worked hard to develop the successful and growing business. He was able to create a company that he was passionate about, while helping others by providing solutions to improve their lifestyles. 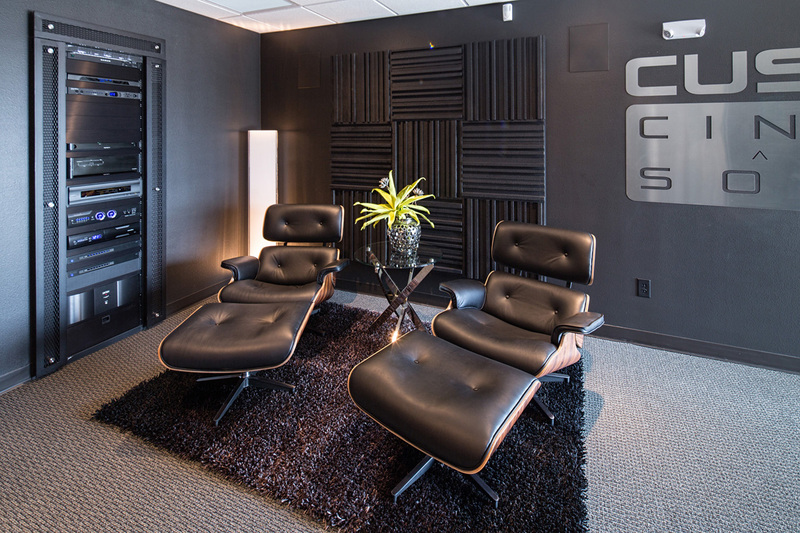 “The best part about my job,” Jon states, “is working with all the technology that goes into developing a state-of-the-art system that’s user friendly, and individually catered to each client’s individual needs.” Custom Cinema and Sound designs systems to exceed the expectations of their clients. Jon ensures total customer satisfaction in all of his projects by offering their clients a face-to-face meeting with the designers. Each client has the opportunity to take part in the design of their home audio or video system. This not only gives them peace of mind knowing what to expect from the systems but also ensures that the final product is exactly what they envisioned and more. 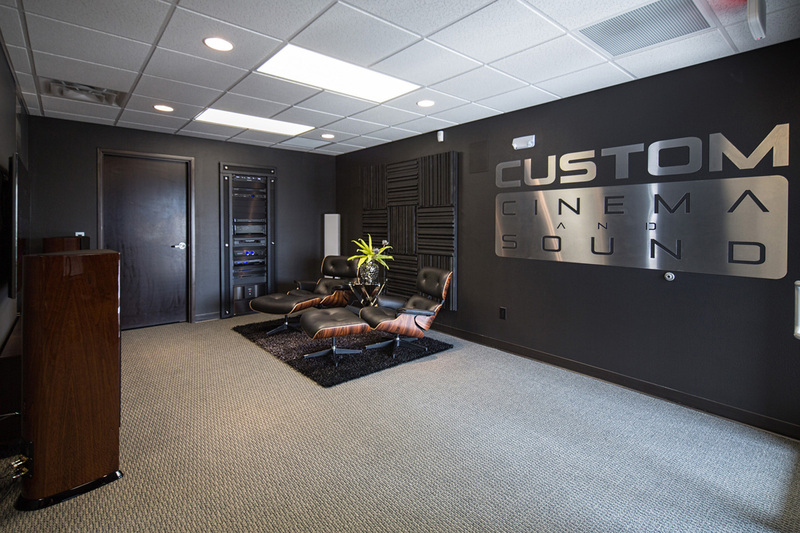 Custom Cinema and Sound received the Design & Living Magazine People’s Choice Award for Best Home Entertainment Solutions (Audio/Video) in 2015, and the Best of Houzz: Service Award in 2016.